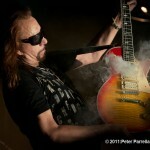 Ace Frehley, KISS’s beloved Space Ace, has a new biography coming out on November 1, 2011. 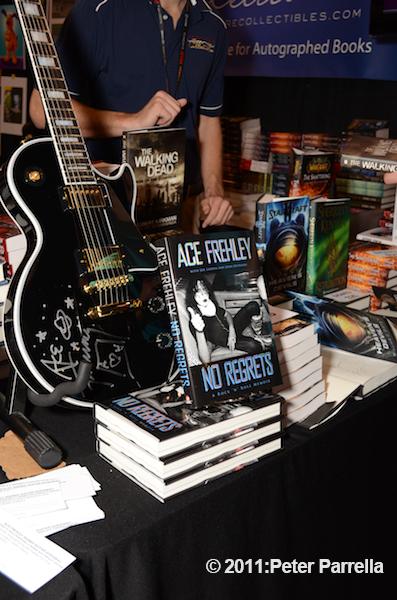 It’s titled “No Regrets” and I got a sneak peek of it at Comic Con. 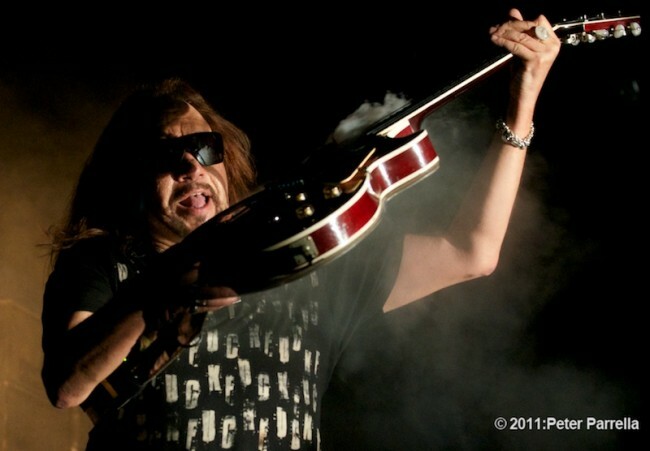 It promises to be a really good read beyond the ranks of KISS Army stalwarts. To promote the bio Ace booked two nights at New York’s B. B. Kings Blues Club and Grill and filled the room. Advance, signed, copies of the biography were available in the B.B. King’s lobby at the end of the show. Frehley is pictured on the cover in full Kiss regalia. “Did you see the cover?”, he quipped from the stage at the opening of the first show. “Someone might think it’s Tommy Thayer.” To which an audience member shouted “There’s only one Ace.” He went on to prove that statement true by wowing his hometown fans with a smokin’ (literally) set of mostly KISS tunes, backed by a rock solid band including Bassist Anthony Esposito, Drummer Scott Coogan (Lynch Mob) and Guitarist Todd Youth (Agnostic Front, Murphy’s Law, Danzig). 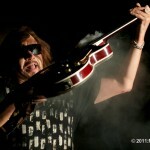 KISS aficionado, and ruler of the PiercingMetal universe, Ken Pierce’s coverage, including the setlist, can be found here. He is also hosting my photos of show openers The Biters who played my favorite Cheap Trick song “He’s A Whore” as part of their energetic set.